My kids love crafts, and they actually came up with this craft on their own! 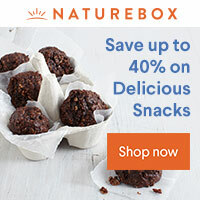 You only need a few supplies, and you probably already have them on hand. We found some really fun drinking straws at the store, which originally were the inspiration for this project – but you could use regular drinking straws. 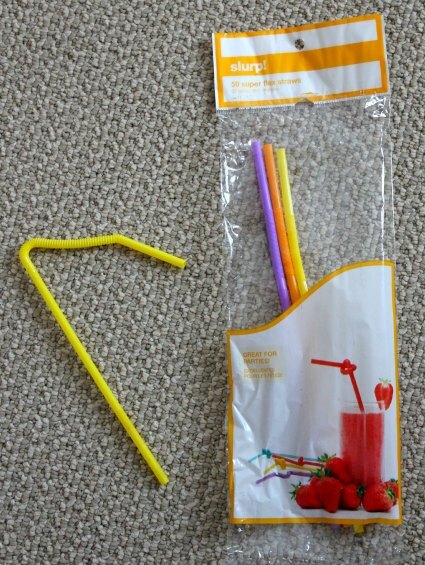 The extra-long straws allow you to “grow” your flowers. 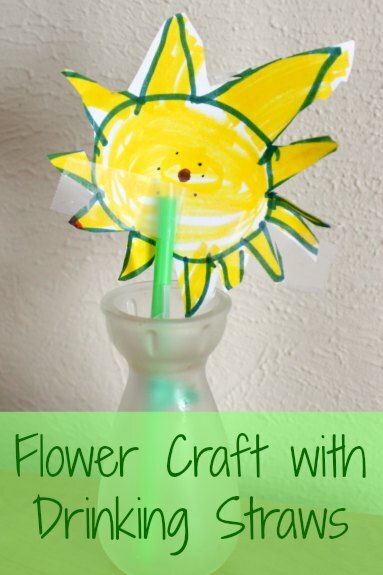 Simply create your flower and tape together. 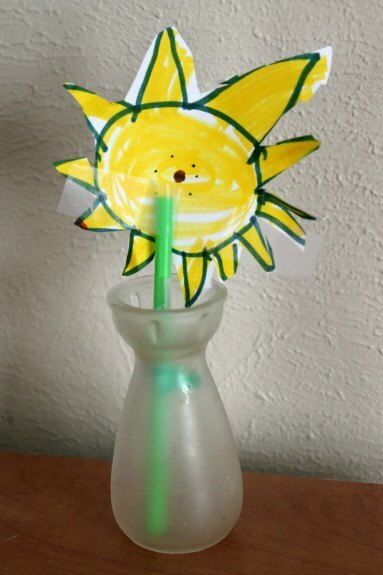 For this one my daughter used two straws and made a two-layer flower, but you can make it as simple or complicated as you like. My younger child made this as we were learning about sunflowers and planting sunflower seeds in our garden. 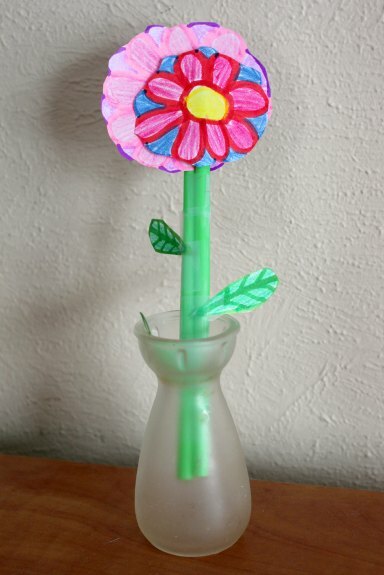 A great spring craft, and you can even make your flowers “grow” with the extending straws!